Today’s POP RESCUE is the 1986 Christmas album, Christmasing by American singer Shirley Caesar, but would this album be full of festive cheer, or like a sad salad? Read on.. This 10 track LP opens with the title track Won’t You Come A Christmasing. This is a slick, mid-tempo track featuring the Clark Sisters. It oozes with plenty of Christmas lyrics, soaring strings and heavenly backing vocals feature throughout, and to be honest Shirley’s vocals remind me of Dina Carroll meets Jimmy Scott, and make light work of this gentle saunter. This song was released as a 7″ promo, rather than a full single. Up next is classic carol O Holy Night. As expected, this is a slow orchestral song, and again Shirley soars vocally through it whilst a choir gives her a foot-up. This is a wonderful version of this classic Christmas song. A slinky 80s bass and brass open What Are You Gonna Name Your Baby. I could easily imagine Whitney Houston or even Tina Turner singing this song. It’s undoubtedly 1980s, given away by its choice of beats and the keyboards, but it works well. I’d Rather Be In Bethlehem Tonight is another original song, and this one is a slow song about Shirley’s journey home through Christmas shoppers. There’s some more great 80s electric guitar and beats, and the ooh-ing backing vocals, acoustic guitar, and tinkling synth, help to add extra warmth to this nice mellow song. Side One closes with Forgive Me. It opens with an une’er lying Silent Night instrumental, before Shirley speaks out a letter to Santa, and reflects on how she gave away her toys to some poorer people at Christmas. Side Two opens with the classic O Come All Ye Faithful. This opens with an epic orchestra and choir burst before switching over to Shirley. Again, she shines with great ease and sounds somewhat like Tina Turner. Strings swell throughout, alongside the choir and brass over a simple beat. A great version of this hymn. Angels We Have Heard On High follows, and this sees the orchestra and choir return, and Shirley really soars vocally through this, seemingly with great ease and showing off her vocal power. It’s not my favourite song, but she certainly does a good job of it. Up next is Giving And Sharing, a plodding bass led mid-tempo song, giving Shirley another more contemporary song to meaner through. I challenge you not to gently sway through this one. Penultimate song God Rest Ye Merry Gentlemen is up next. Shirley starts this off a capella before a gentle beat ushers in a simple keyboard. This steadily builds up to add brass and strings in too. While it starts off a little shaky, the end result is a great version. The final song is a 50 second version of We Wish You A Merry Christmas. Part of me wants this wonderful sounding version to have actually have been the whole song, rather than just the chorus, but I also like the way that it quickly bursts in, and suddenly ends with Shirley wishing a Merry Christmas. Over all, I took a gamble on this LP, one that saw it ship from Texas, USA, into the UK. I’m glad that I did, as it really is a full-on Christmassy album and Shirley really does shine here. Even the album sleeve is exceptionally Christmassy too. This is easily one of the best Christmas albums I’ve heard, probably because it’s nicely balanced between newer/unfamiliar modern songs, religious classic carols, and fun Christmassy songs. Where is Shirley Caesar now? Somehow, this album was far from a commercial success in the USA, and this saw Shirley’s chart career stall. The album didn’t even make it over to the UK for sale (I wonder if I have the only copy in the UK?). In 1998, she released another Christmas album Christmas with Shirley Caesar which saw her record versions of the christmas songs that are commonly recorded by artists for their christmas albums. This has not stopped Shirley performing, which she has continued to do, occasionally alongside the Clark Sisters. She has earned several black gospel music awards and 11 Grammy Awards amongst others. Shirley is also a pastor in Raleigh, North Carolina, USA, where her late husband was a bishop. 1986 UK CHART PEAK: Did not chart in the UK. POP RESCUE COST: $19.50 from a Discogs seller. 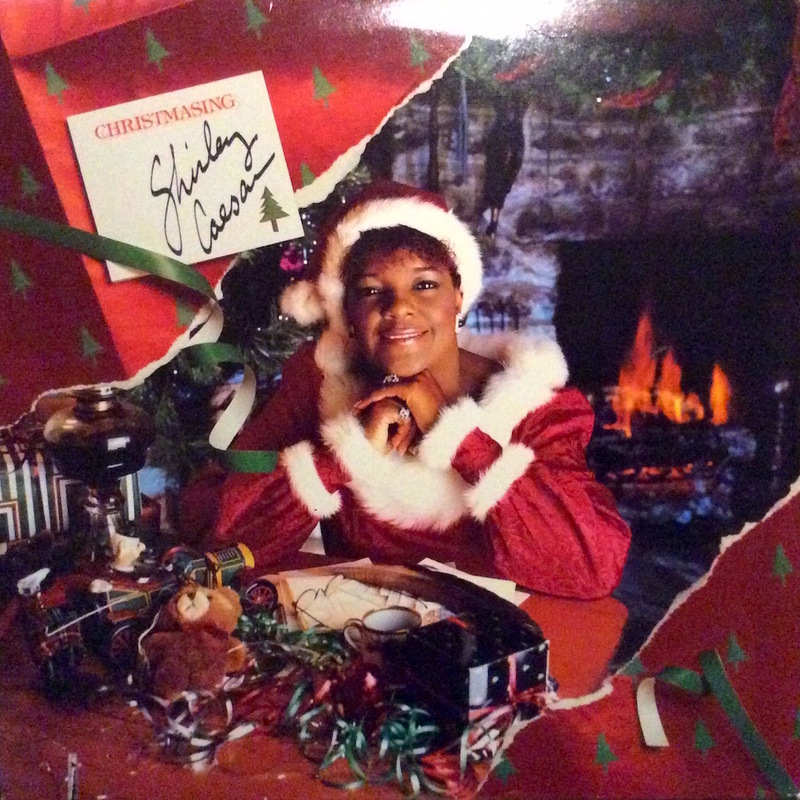 Posted in 1980s, Christmas, Shirley CaesarTagged 1986, album, Christmasing, Clark Sisters, gospel, review, vinyl, Won't You Come A Christmasing, xmasBookmark the permalink.